From the Square to the Big Chicken, PV services homes all across Marietta. 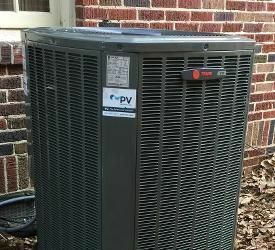 HVAC not working? Need an estimate? Give us a shout! We’re already hurrying up I-75. Identifies comfort and efficiency problems at the source. We avoid band-aid fixes and provide solutions that address your underlying issues. Includes home performance upgrades, when appropriate. New HVAC equipment isn’t always the answer! Sometimes, it’s best to modify your home. Keeps you comfortable with metro Atlanta’s best service agreement. Our service plan includes bi-annual, top-to-bottom AC and furnace inspections with special labor and parts discounts. 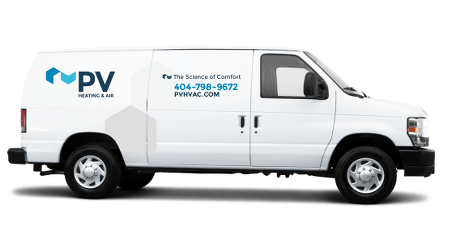 When you’ve got HVAC problems and you know band-aid fixes won’t cut it, you want nothing less than the Atlanta area’s smartest service provider. At PV, we use building science principles to find the best comfort solution for your Marietta home. If you’re looking for the antidote to dime-a-dozen, “let’s-hope-it-works” HVAC contractors, you’ve found it. 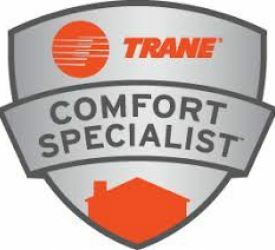 We’re the most dependable HVAC and home performance company this side of Whitlock Avenue. Yep. That’s the PV van whizzing past Six Flags.